Provided by Pima Valley Realty and Property Management, LLC. 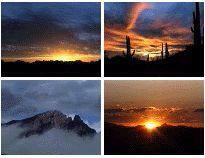 Recreation & Activities Year-Round in Tucson! Southern Arizona Hiking Club: - The Premier Hiking Club of Southern Arizona - Dedicated to the purpose of promoting hiking and related activities which further the appreciation, understanding, preservation and enjoyment of the Southern Arizona Hiking Club land, its plants and wildlife, and all natural things and objects. The Southern Arizona Hiking Club was founded in 1958 by a small group of people and has eolved into a nonprofit volunteer club of about 2000 members. The club is committed to active, responsible and safe participation in the out-of-doors. The monthly club bulletin lists an average of 70 to 100 or more events led by volunteer members. New members are encouraged to become involved and to help with the organization of club activities.